In 2014, she excelled at her mare performance test (take a look at her video) and was awarded premium mare status. On the video she was first 4 weeks under the rider. 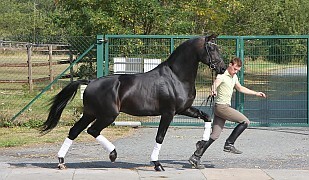 She is registered in the Oldenburger Main Stud Book and also by the FN. She has had already two stunning premium foals by Ron Rubin and Escolar. And 2018 the mare has a beautiful colt from "Best of Gold" (Belissimo/Diamond Hit) . For 2019 she is in foal to Floriscount. 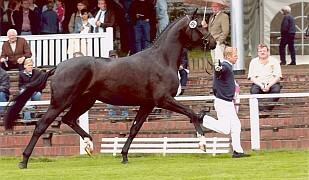 Grandsire Jazzman, under the top 20 % of the german breeding list, is one of the breeding index highest sons of the dutch starshire Jazz and his damline is on of the best from dutch. Also comes the colt out of a great motherline (Waldexedamline). It is one of the best in Oldenburg. Her brothers and sisters were all premium foals . Older sister is now state premim/elitemares with nomination to the Oldenburger Brilliantring . 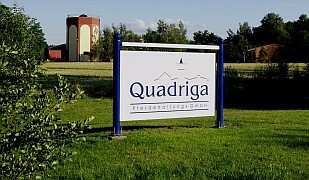 With highest notes registered in the Oldenburger main stood book ! 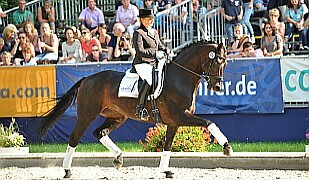 Fullbrother has wonned by the 6 years old dressage horse the qualification for the german horse championship. Grandmother (the great Cosmopolitan) was winner mare in Oldenburg and high placed on the german horse Championship. 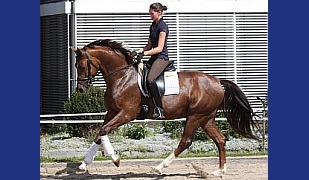 She is the mother of our licensed breeding stallion Don Cismo, which has wonned in 2013 the qualification for the german horse Championship with 9,0 and now several times high placed already in PSG! She is also the mother to the Grand Prix mare Diamantina; which is one of the best young Grand Prix horses in Australia with Maree Tomkinson. 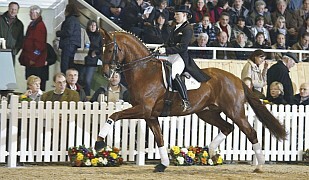 For example winnerin of the CDI Grand Prix on the australian Championship 2012/2013 . And successful rider on the WEG in France 2014 and 2016 reserve horse for the Olympic Games in Rio.